IVE supported over 70 Young People in achieving their Arts Award Discover at the first ever Broughton Hall Children’s Literature Festival. In its inaugural year, Broughton Hall Children’s Literature Festival is the first of its kind in the North of England. 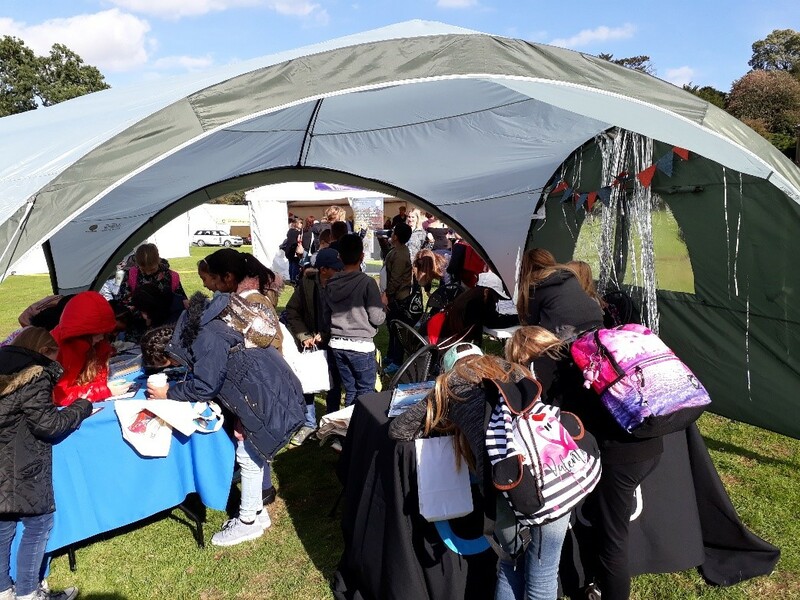 Offering a fantastic array of events and activities including author talks, poetry slams and performances, live music and Bollywood dancing, Broughton Hall Children’s Literature Festival was the ideal setting for young people to discover Arts Award. Arts Award aims to support children and young people in deepening their engagement with the arts, building their creative skills (both practical skills and thinking creatively) and their leadership skills. The qualification has 5 levels, with the entry-level, Discover, helping to broaden children and young people’s perceptions of what the arts are and how they can be produced. IVE were invited to host an Arts Award hub at the festival and were on hand throughout the weekend to deliver the Arts Award Discover Qualification to interested young people. 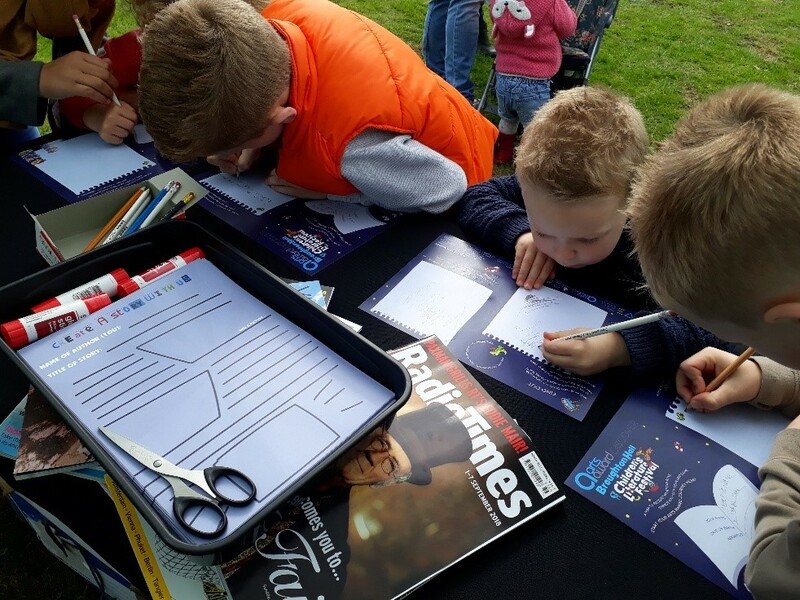 Those taking part were given a bespoke Arts Award Discover worksheet and were invited to fill in the resource as they discovered the creative delights of the festival. 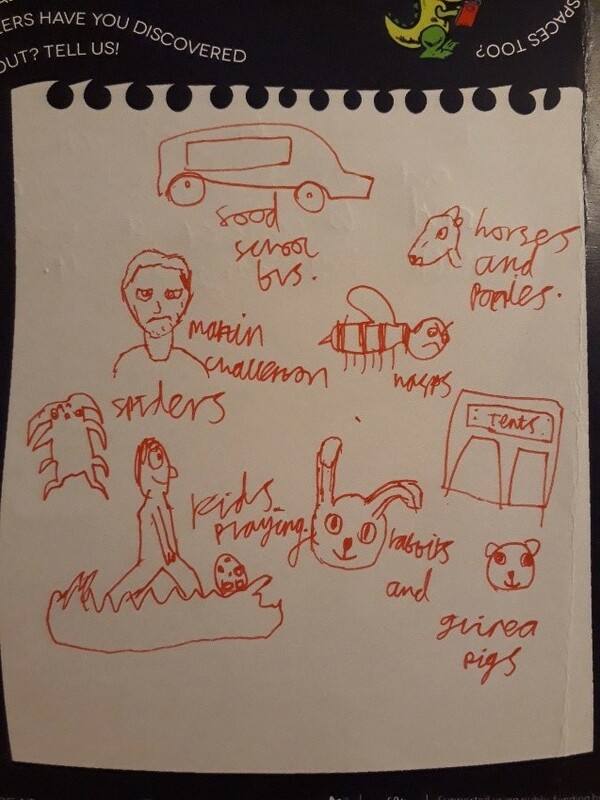 The worksheet proved to be a popular way for young people to record and reflect on the authors that they discovered, the performances they’d seen and the activities they’d taken part in. Young people were keen to share what their favourite books were and were excited to show staff from IVE their newly signed books by the authors they’d met. Popular talks seemed to be from Clare Balding, Michael De Souza and Robin Price to name a few. Those who took part will receive their certificate in the post in a few weeks. We met St Anne’s Primary School from Keighley who brought a whole class in to do Arts Award. As well as encouraging creativity and imagination, Arts Award also supports young people in developing as artist and leaders. A section of a young person’s Arts Award Worksheet. If you’re a school or an arts organisation, Arts Award Discover can easily be incorporated into a day of arts and cultural experiences to increase the educational impact of the experience. IVE holds regular training events where we can teach you how to deliver Arts Award at any level. Have a look at our events page to find your next nearest event. If you’re interested in your child taking part in Arts Award you can find a list of organisations delivering the award here.